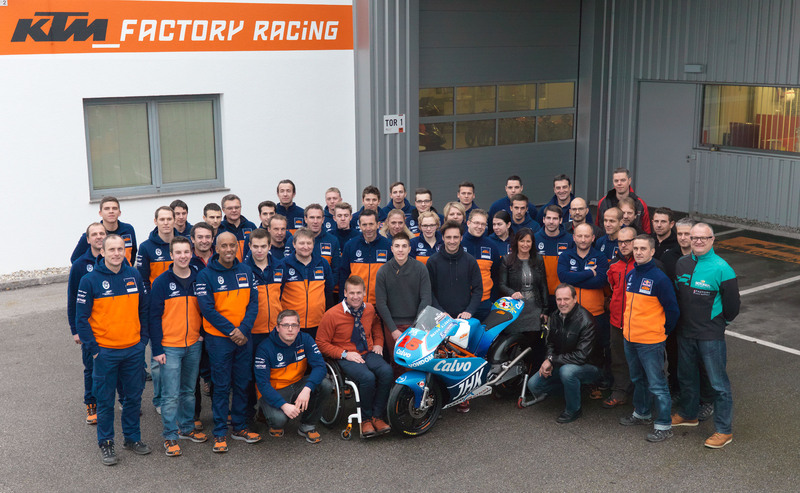 A few days ago the Moto3 World Champion came to Austria for the first time to visit the KTM motorsports department in Munderfing. After lunch and a photoshoot with the entire team there was enough time to toast the Moto3 titles (rider & manufacturer) and to present some gifts to the young Spaniard, who will step up to Moto2 next season and venture onwards with his career. 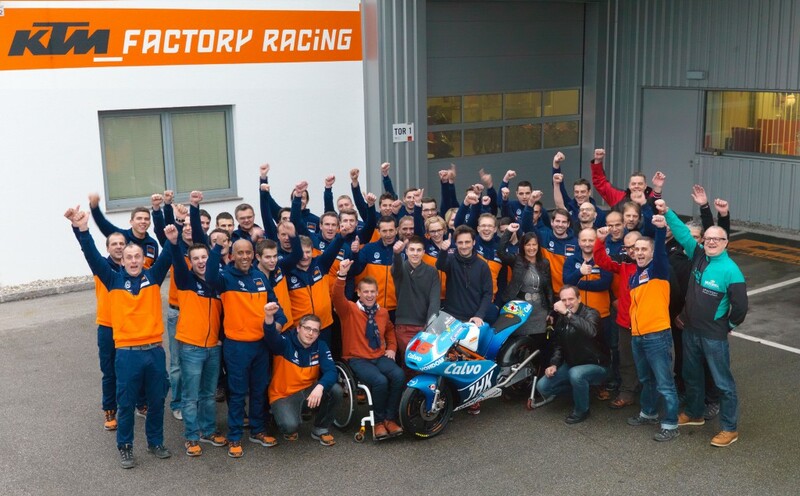 Was the Moto3 KTM your first taste of ‘Orange’? 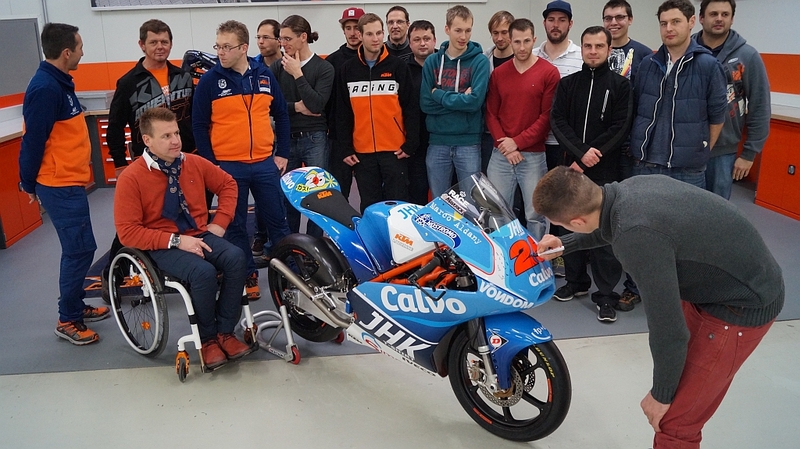 What do you think is the biggest difference between the ’13 championship bike, the four-stroke Honda you rode in 2012 and the two-stroke Aprilia you had in your first year in MotoGP? Is it true that you are named after a character from the film ‘Top Gun’? Who spawned your enthusiasm for motorcycle racing? Why do you compete with the number 25? What do you get up to when not sitting on a bike? How do you like Austria and KTM? If there is time to watch TV, what’s on? 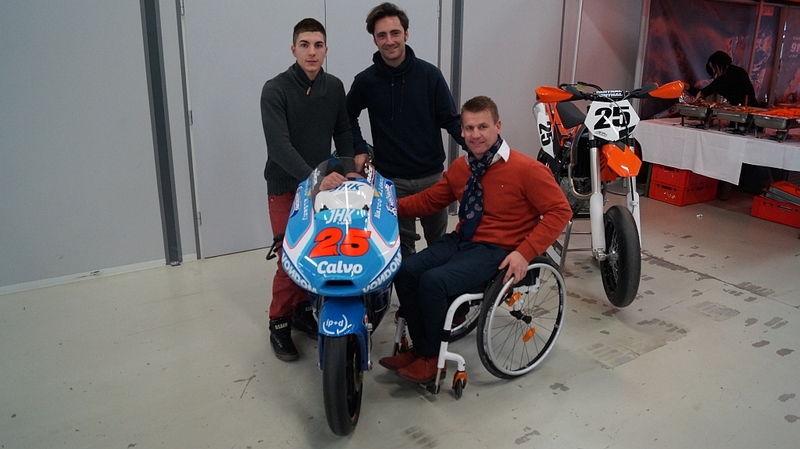 Finally: Who do you think will be the 2014 Moto3 World Champion?